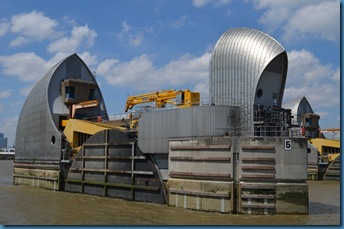 The London Log – Part 2 – A boat, a barrier & broken lifts! Gawd, what a mouthful (insert your own smutty pun here, most of mine are not printable!). It does however fairly accurately describe our second full day in London, staying at the Caravan Clubs’ marvellously located Crystal Palace site. Monday, and the days travelling started with a walk along Crystal Palace Parade and down the hill to the Overground station for a ride to New Cross gate. 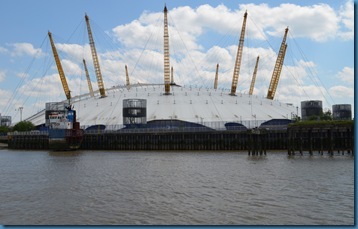 A bus then trundled the rest of the way to Greenwich. 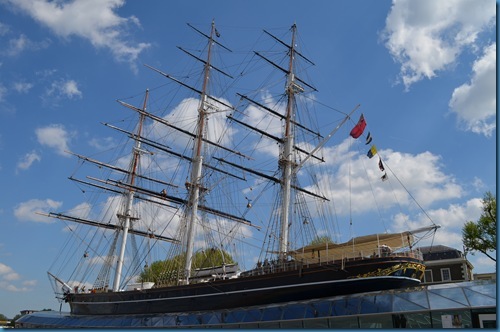 The Cutty Sark is here – the famous tea clipper beautifully (and expensively) restored following a fire a few years ago. We eschewed the opportunity to look around inside – there was a queue and I don’t like parting with money – preferring instead to admire her from outside. The whole area was looking quite smart as it happens and clearly some serious cash has been splashed here in the recent years. 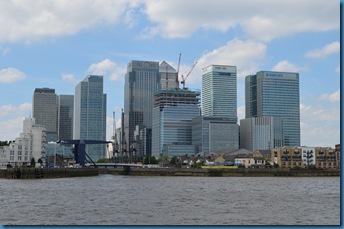 Next door is the famous Old Royal Naval College, impressive close up but the classic view meant a walk under the Thames in the Greenwich foot tunnel over to the Isle of Dogs. 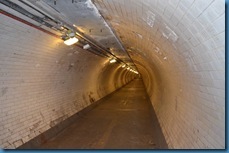 The tunnel is over 1200 feet long but just 11 feet wide. Lifts take you up and down to and from ground level at either end – well they would if they were working – but nevertheless the view from the other side was worth it. 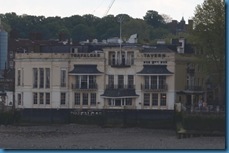 To the side of the old college is the Trafalgar Tavern famous for it’s whitebait suppers – and the patronage of a certain Charlie Dickens. 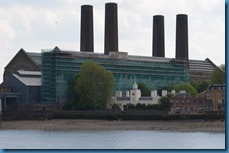 Further on the Greenwich power station dwarves the pretty Trinity hospital. Back on the south side we had a wander around the grounds of the college and replenished the caffeine and sugar reserves before heading to the quay to get on a boat. 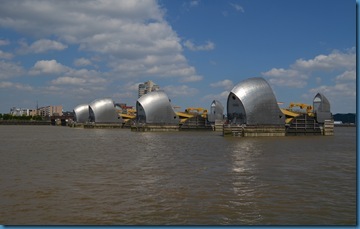 The Thames Barrier was the destination – or at least where the boat turned around – but the hour or so on the water gave us great views of the dome and docklands area – complete with Canary Wharf and various high rise offices housing a load of bankers. I came down here on a school trip in the early eighties when it had been flattened in readiness for development. Seeing how much it has changed is a stark reminder of how time marches on! 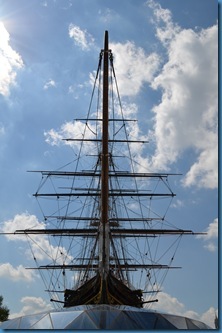 On return to Greenwich food was the next item on the menu (sorry!). A well known pub chain provided both solid and liquid refreshment – just the one mind – before we returned, on a slightly circuitous route to Patsy at Crystal Palace to enjoy the rest of the afternoon sun, although the gathering clouds gave an indication of what was to come.